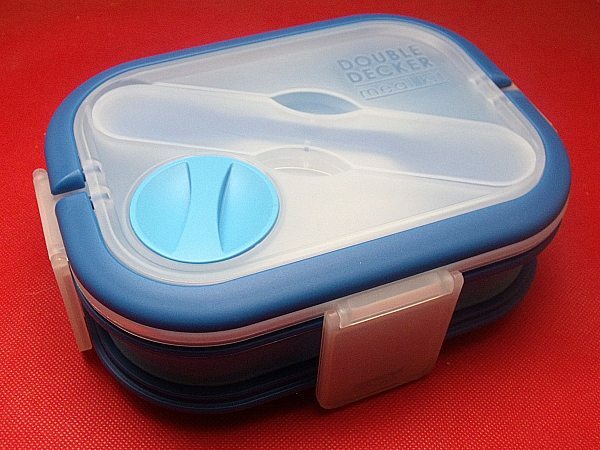 Share the post "Giveaway – Smart Planet Double Decker Meal Kit – Ends 10/25/14"
Smart Planet makes packing and eating a lunch to go a whole lot more fun than a brown bag and foods that can be wrapped in foil or stored in a zipper bag. They can also help you cut down on waste, which is good for our planet. 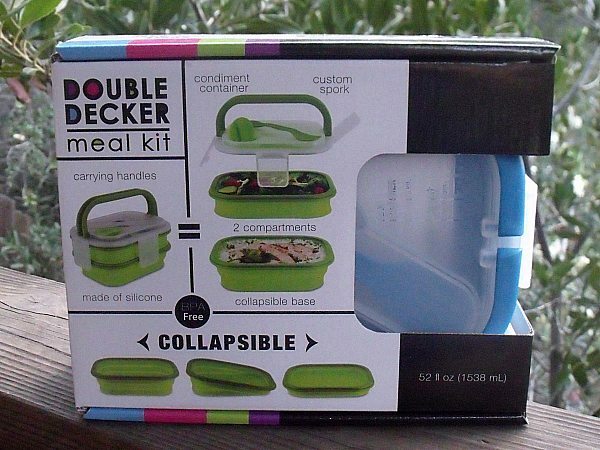 The Double Decker Meal Kit is a modern lunch box that is great for adults and kids. There is plenty of room inside for a full size meal. 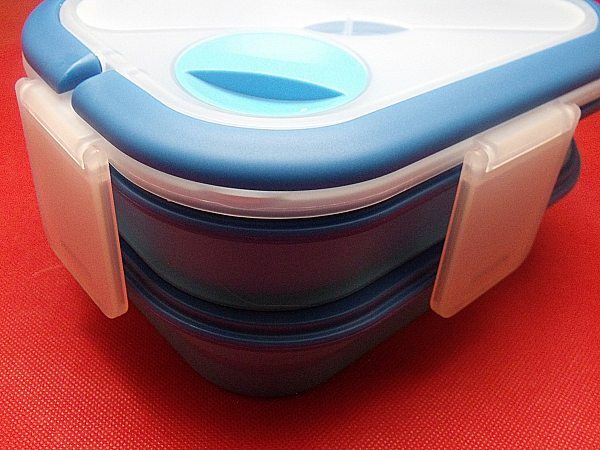 There are two large compartments that stack together underneath one lid. The bottom base section is collapsible. It is made from silicone and can expand to twice it’s size. The silicone is microwave and dishwasher safe. 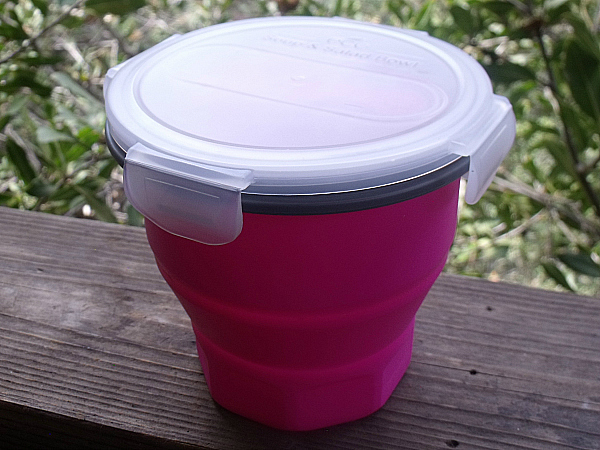 The lid has a built in container that will hold salad dressing, dipping sauce, hummus or a small treat. 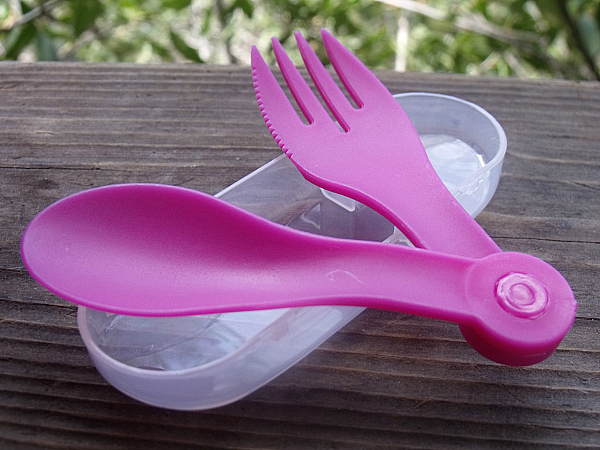 The spoon and fork have their own space on the lid, which makes it easy to keep everything you need all together. Tabs lock the lid securely in place and handles fold up for transport. It comes in three bright colors – blue, green and pink. I like putting a large salad in the bottom section and a half sandwich in the top. What would you like to pack in a Smart Planet Double Decker Meal Kit? SOCIAL MEDIA – You can connect with Smart Planet on Facebook and Twitter. Facebook fans can get a 15% off code by asking for one. SmartPlanet carries household products with an eco-friendly twist. They strive to offer fun innovative products at an affordable price. With the SmartPlanet Collapsible Soup and Salad Bowl, they do just that. The Collapsible feature of this bowl makes eating away from home super easy and honestly, kind of fun! I find this bowl expands to the perfect size when I use it for soup or left over pasta. Other containers are either so small that I could never stir my soup or pasta when heated without spilling and making a mess or they were so big that I could not take them places very easily. 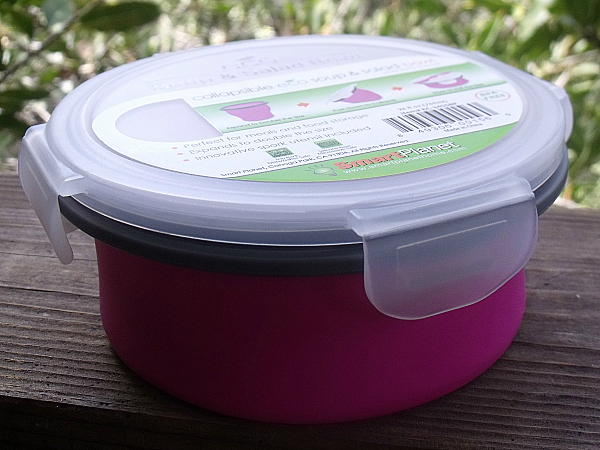 The SmartPlanet Collapsible Soup and Salad Bowl makes the task of preparing my food mess free. This bowl expands to double the original size and allows for plenty of stirring room! When I use my SmartPlanet Collapsible Soup and Salad Bowl to pack a salad, I can pack the produce in the collapsed bowl so it fits nicely in a lunch box as well as in the refrigerator without taking up a ton of space. When it comes time to prepare and eat my the salad in the SmartPlanet bowl, I simply expand the bowl before stirring in the salad dressing. When the salad is gone, simply collapse the bowl, toss the utensil inside and cover with the lid. This will fit nicely in your lunch box for the trip home. The SmartPlanet Collapsible Soup and Salad Bowl is a very practical item to keep on hand in your cupboard. 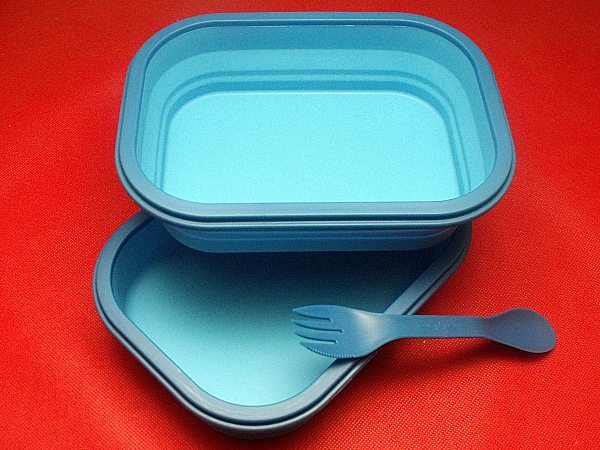 Not only does it take up very little space when it is collapsed, but the lid also stores the spork utensil that comes with this bowl. The bowl, lid, and utensils clean up very well. The silicone base of this bowl is both microwave and dishwasher safe; however, the lid is not. The SmartPlanet Collapsible Soup and Salad Bowl is great for taking to work or school for lunch but it is also fun for picnics and long car rides. My kids love this bowl as much as I do. 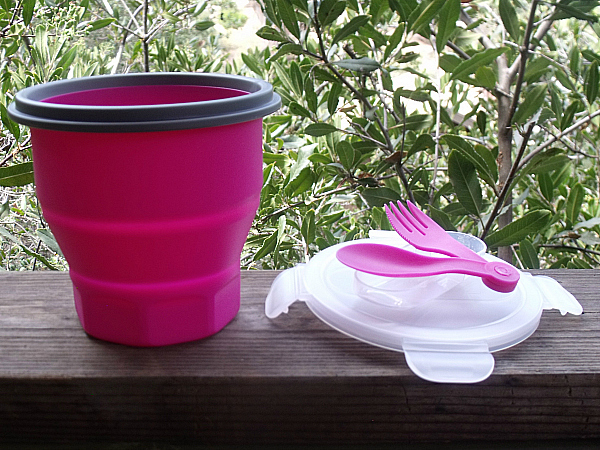 The SmartPlanet Collapsible Soup and Salad Bowl is available in four fun colors. You can purchase SmartPlanet meal kits online at their website. Connect with SmartPlanet on Twitter and Facebook and get 20% off your purchase! Simply follow them on either of these social networks and ask them for the code. One lucky reader at The Children’s Nook is going to win a SmartPlanet Collapsible Soup and Salad Bowl! Giveaway will end at 12:01 a.m. (eastern time) on September 18, 2013. This giveaway is open to U.S. residents only. The winner will be selected by random.org and will have 48 hours to respond or another winner will be chosen. I received the SmartPlanet Collapsible Soup and Salad Bowl for review purposes. All opinions are mine alone. At lunchtime, I would much rather have a homemade meal than pre-packaged junk or greasy fast food. When you have the right containers, it’s easy to pack up a portable healthy and nutritious meal to go. The Collapsible Soup and Salad Bowl from SmartPlanet is innovative and practical. It also happens to look great when it’s in use and when it’s not. When not in use, the bowl collapses to half it’s size for compact storage. The base is made from silicone and can be used safely in the microwave and dishwasher. Foods don’t stick to silicone the way they do to other surfaces, so it’s extra easy to get it clean. The lid attaches securely with 4 tabs. The tabs make it easy to seal the container without spilling. Kids and others who may have trouble with other types of closures will find this simple to use. Liquids can be transported without worrying about spillage. Inside the lid is a handy spoon and fork. There is a lightly serrated edge on the fork that can be used to cut up veggies or other small foods. This handy container comes in pink, blue, green and orange. It can be used at home and when you are packing lunches to go. 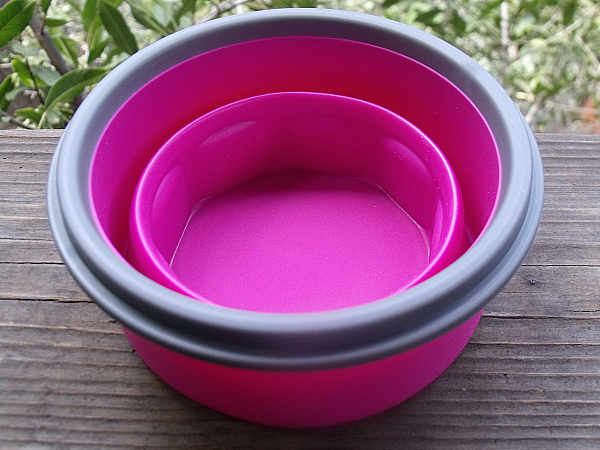 The SmartPlanet Collapsible Soup and Salad Bowl makes it fun and easy to pack healthy foods! CONNECT - You can like Smart Planet on Facebook and follow them on Twitter. Who loves Mason Jars? I do, so I had to share with you this hot item from Smart Planet Home. 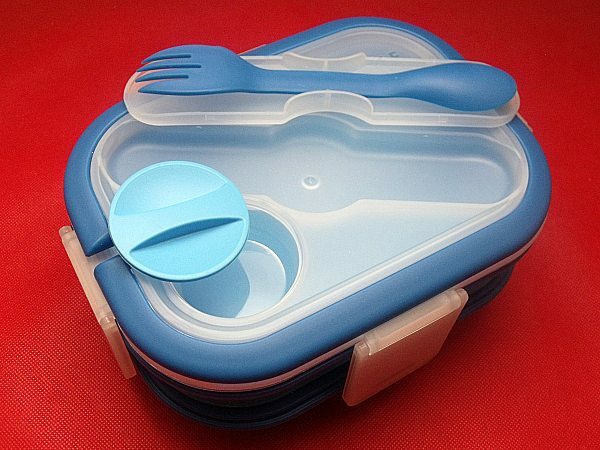 Previously reviewed from smart planet home is the eco friendly lunch box. I got to review a Mason Drinking Jar. This cup has a straw, lid and handle. It is perfect. This cup is perfect for one the go and staying at how lounging out on the deck with a nice cold beverage. 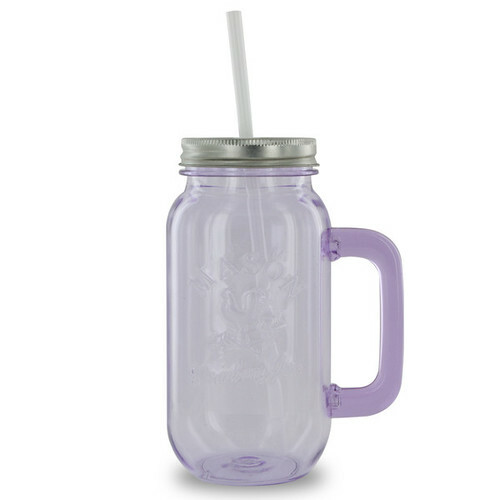 I simply love this mason jar. It is super fun and eco friendly. I have been using it at work and it is perfect. We have to have cups with lids at work so this is great. Everyone that likes them on Facebook and follows us on Twitter through this promotion will get a 20% off promo code as long as you ask for it. This promotion is in no way sponsored, endorsed or administered by, or associated with, Facebook. We hereby release Facebook of any liability. Giveaway is open to residents of the 48 contiguous US states, age 18+. Giveaway ends September 9, 2013 at 12:00 am. Winner will be chosen randomly. Please reference our About Page at the top of SIMPLE before entering. Peter and I both work, and working means lunch out of the house. But buying lunch at work can get expensive fast. The employee cafeteria at Mayo serves pretty decent food, and it’s not horribly expensive, but it isn’t cheap. And nurses don’t have time to go wait in line for food, some days we don’t even have time to take a lunch break. So I bring my food from home. Most days, the lunch I bring to work is just leftovers from earlier in the week and some fruit. Nothing fancy. And each thing has to be eaten before it goes bad, so it’s perfect!